Protected in most states for several decades, bobcat populations have almost tripled to an estimated 3.6 million nationwide. CONCORD, N.H. — As someone who has studied bobcats for almost four decades, wildlife ecologist John Litvaitis remembers many times returning from the field without spotting a single one of these solitary and shy creatures that often hunt at dusk. 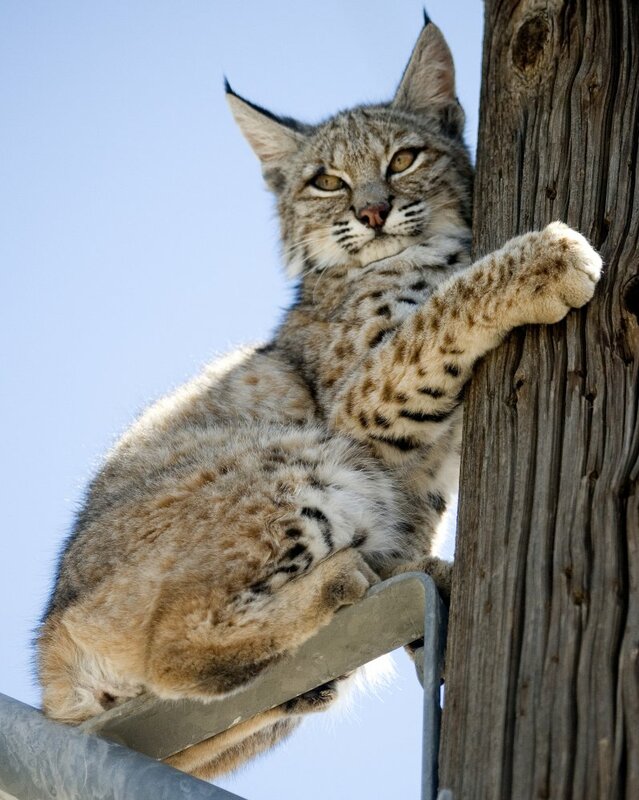 But bobcats are less elusive now as their numbers rise and they become more comfortable around humans. Bobcats are now making a home in small towns and suburbs – and realizing there is plenty to eat in the cities. They have turned up in recent years in such places as Manchester, New Hampshire’s largest city. They have been spotted on streets in search of their next meal and, increasingly, as roadkill. A website that Litvaitis set up to understand the bobcat rebound in New Hampshire features hundreds of amateur photographs – of a cat lounging on someone’s lawn and another sitting contentedly after gobbling up a guinea fowl. The resurgence of Lynx rufus comes during a shift over the past several decades from treating bobcats as vermin to be exterminated to being considered a top predator worthy of protection. In contrast with the 1970s, when 40 states had no bobcat protections and bounties were common, most now put strict limits on hunting and trapping bobcats. As many as eight, including New Hampshire, completely outlaw both. Bobcat numbers have almost tripled nationwide since the 1980s to as many as 3.6 million, according to a 2010 study in the Journal of Fish and Wildlife Management, the most recent national survey. Litvaitis estimates bobcat numbers dropped to as low as 150 in New Hampshire in the late 1980s, which prompted the state to ban hunting in 1989. Numbers have increased ever since. A University of New Hampshire/New Hampshire Fish and Game survey estimated their population in 2013 at 1,400. Many states have considered reintroducing hunting and trapping to help regulate growing populations. The New Hampshire proposal to offer 50 permits annually was withdrawn last year, over concerns that bobcat traps could ensnare Canada lynx, considered threatened under the Endangered Species Act.